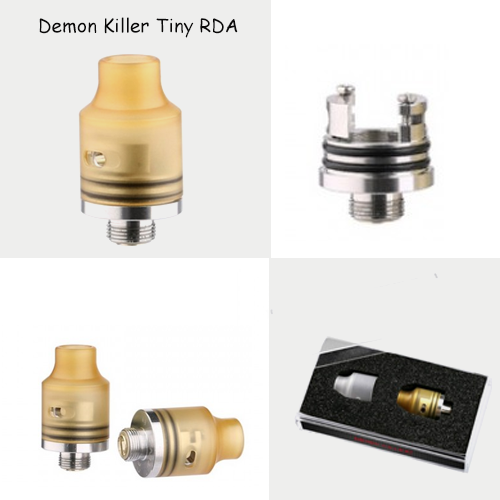 Cheap RDA Demon Killer Tiny RDA Only $9.99 For You! Indovapor → International Vendor → Cheap RDA Demon Killer Tiny RDA Only $9.99 For You! Topic: Cheap RDA Demon Killer Tiny RDA Only $9.99 For You! Pleasure to introduce this cheap item to you, hope you like it! Demon Killer Tiny RDA is a 14mm atty constructed from durable PEI cap and stainless steel base. The build deck comes with dual post design for single coil building. The cap has dual airslots for side airflow, giving you massive vapor and pure flavor. It is only for $9.99 on efun.top! 30% Off Discount & Free Gift For Valentine's Day, take one for your beloved!